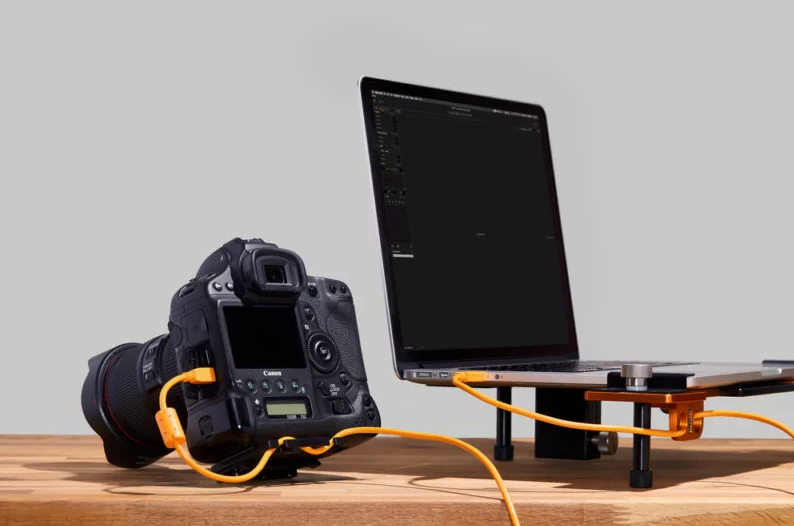 Amateur photographers are often unaware of the benefits of tethering to a computer. Digital images can be almost instantly viewed on a larger screen once you tether to a laptop or tablet. 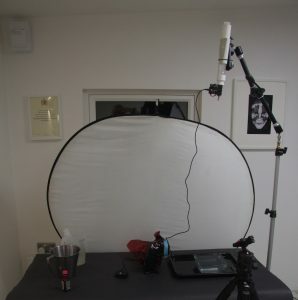 You can spot issues with focus, lighting, posing or composition and reduce post processing using such rapid feedback. 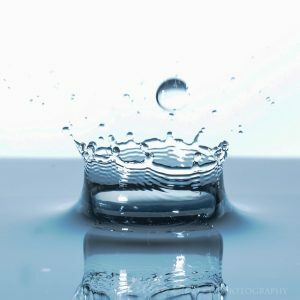 7:30 pm Monday 15th October – Photography Interest Group – Water droplets! . 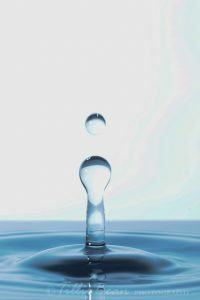 On Monday 15th October the photography interest group spent an evening photographing water drops. 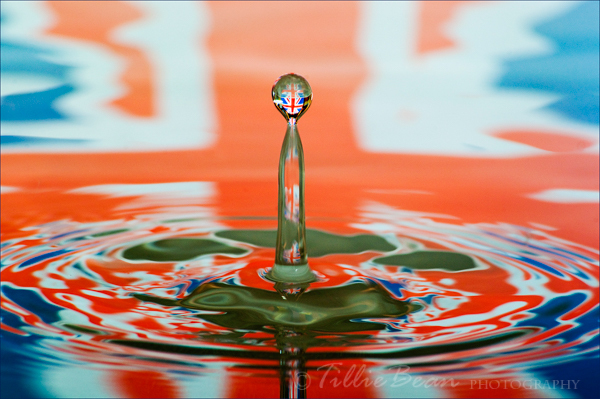 David who took the above picture said: “On Monday Basingstoke Makerspace held a ‘photographing drops’ session. I think this is my favourite shot of the night from my camera. We used a Speed-light flash and a Pluto trigger together with a triggered drop release mechanism to produce reproducible drops. 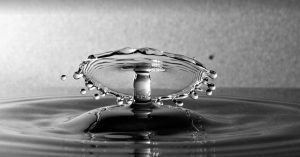 After a falling water drop splashes into a bowl of water a crown is forme from displaced water. 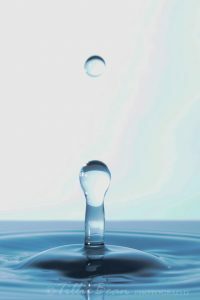 the bulk of the drop remains intact and enters the water. In the following picture the crown can be seen with a second drop timed to fall artistically just above the crown. 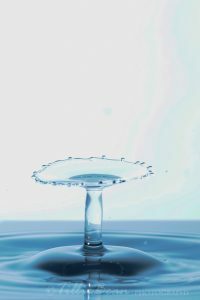 As the initial drop enters the water in the centre of the crown it displaces water in the bowl upwards. This slows the drop’s downward speed until it stops. At this point it starts to moves up pushed by the displaced water. 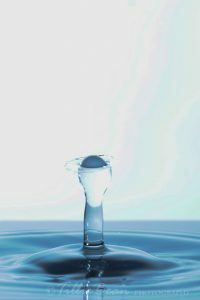 When it reaches the surface it breaks out of the surface with surface tension forming a stalk with some fraction of the original drip on the top. The remains of the crown can be seen spreading out. Makerspace Members get full 24/7 access to the Makerspace and its studio.